Garage Service Pros is your local, automatic garage door opener repair and replacement company. We service ALL makes and models, including LiftMaster garage door openers, Chamberlain garage door openers, Genie garage door openers. and more. Garage Door Opener travel reversal can occur due to a number if different reasons. An onsite inspection is critical to help troubleshoot why this problem is happening. Doesn’t matter if you have a Chamberlain Garage Door Opener, Genie Garage Door Opener, or any other brand. Travel reversal could be the result of a few different scenarios. Unknown problems with your actual garage door, which the opener may be sensing as its traveling up or down, can cause the opener to stop and reverse back open. Reversal of your opener can also be caused by faulty wiring, misaligned or defective safety sensors. If the safety sensors are not installed and functioning properly, that will result in an automatic reversal of travel. Other reasons for reversal could be a defective Logic Board or RPM sensor. 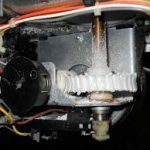 All of these issues are repairable, and we at Garage Service Pros have many years of experience troubleshooting these problems on a daily basis. We would welcome the opportunity to inspect your garage door opener and repair it at a reasonable price. This common issue will arise when there are stripped gears on certain components in the garage door opener. This problem will occur mostly in Craftsman, Chamberlain, and LiftMaster Chain Driven Garage Door Openers. Another form of a stupid component can also happen in both Screw and Belt driven openers as well, its just not as common. Both the Chain and Belt Drive openers have a Gear & Sprocket assembly. These gears can get stripped due to excessive pressure with the door being out of balance. Age and usage is also another driving factor. 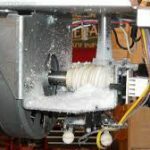 If this problem emerges in a Screw driven opener, trolleys and slides are generally the parts that need to be addressed to get the opener back to functioning. Again, an onsite inspection is essential to helping us figure out exactly which parts are causing the issue. These are just a few, of the many issues, resulting in a need for your Garage Door Opener to be repaired. All Garage Door Opener Repairs are situational. When addressing problems, we will always take into account the age, size, and condition of the current opener, to determine whether repair or replacement is the best avenue to proceed. If it is determined that your garage door opener cannot be repaired, or maybe its just time for a replacement, we offer the industry leading Chamberlain LiftMaster as our premiere and exclusive opener manufacturer.